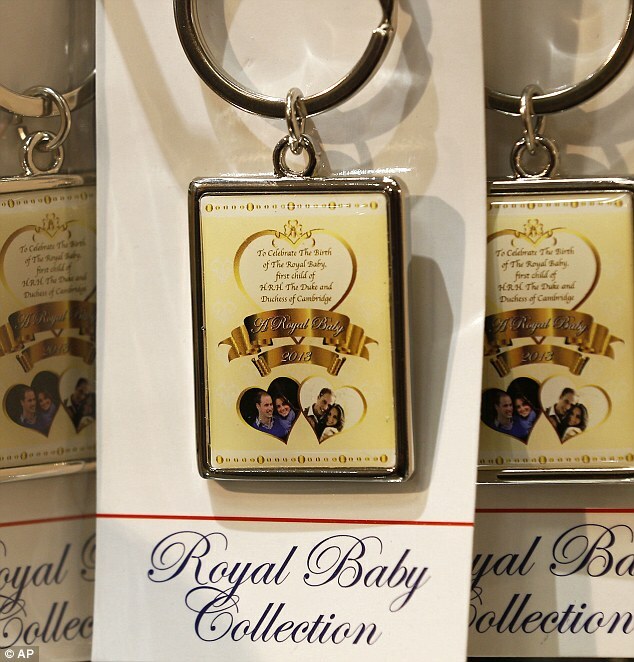 Within hours of the Duchess of Cambridge giving birth to a future king, unofficial merchandise vendors were cashing in on the new royal arrival with a wide range of celebratory memorabilia. 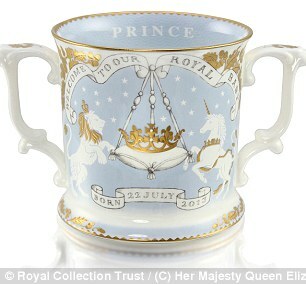 And now – just two days after the birth – the Royal Family itself has joined in by announced the release of official commemorative china and other products timed to coincide with the new prince. 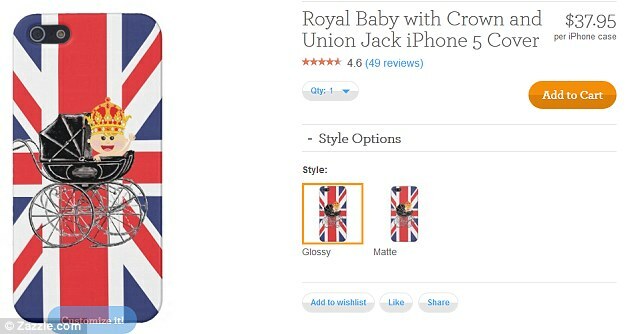 However, well-wishers looking to celebrate the historic occasion may find themselves priced out of the merchandise range – with the official products costing as much as £195. 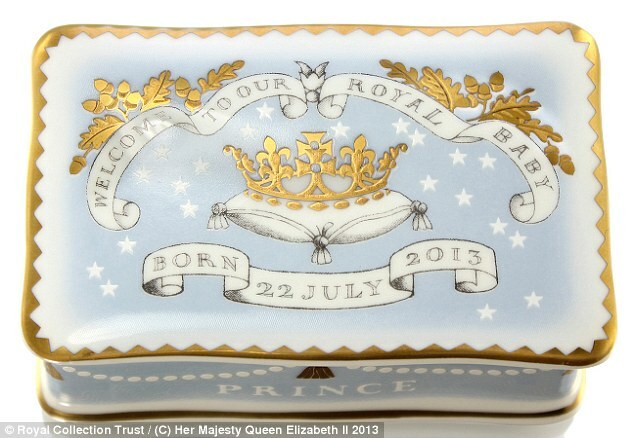 The Royal Collection Trust has released a variety of porcelain objects, including a plate, mug and pillbox, as well as Christmas tree decorations in the shape of prams. 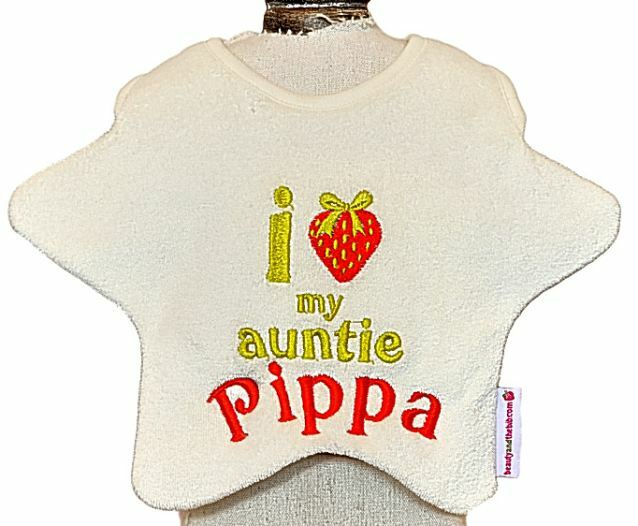 The cheapest item, a tea towel, is only £8.95, but when it comes to the china the prices start rising steeply. 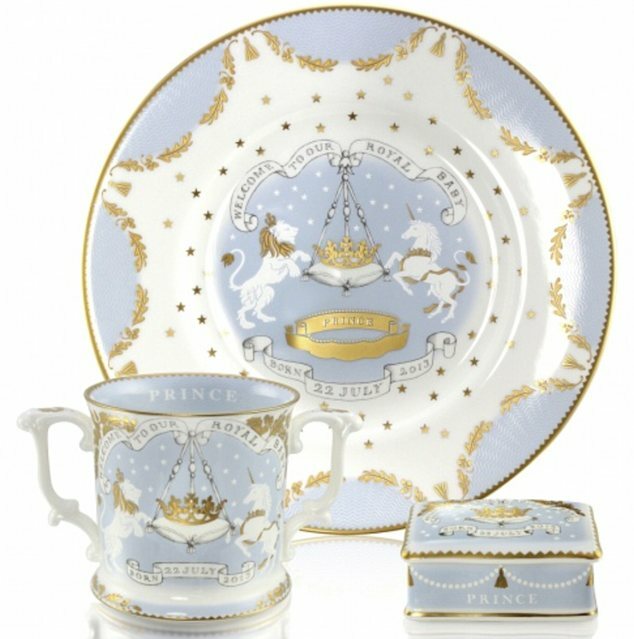 A light blue mug costs £20, a pillbox is £30 and those wishing to eat their dessert off a commemorative plate must shell out £45. 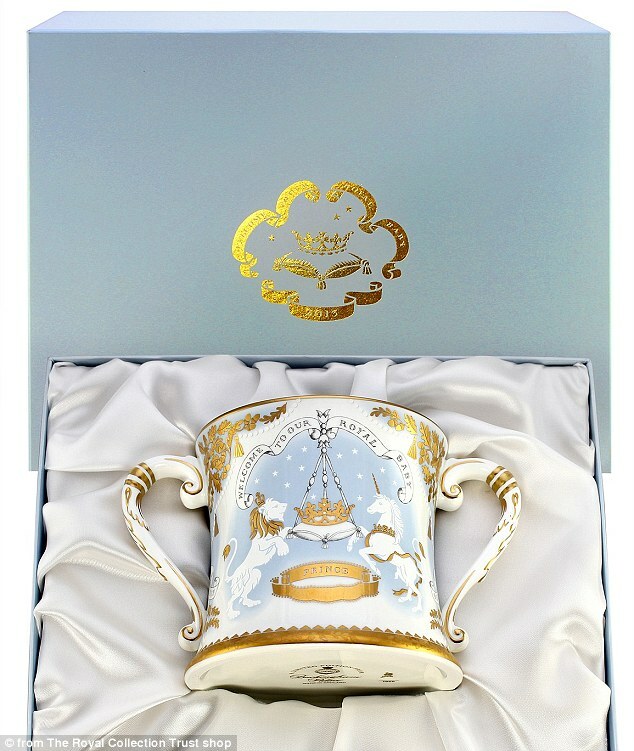 However, the priciest object in the collection is a hand-finished ‘limited edition loving cup’, of which only 2,013 will ever be made, which costs £195. 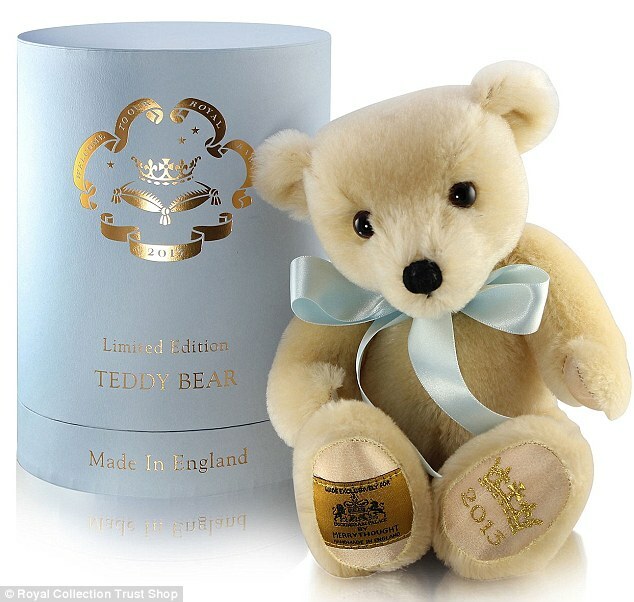 Another limited edition royal product is a 10″ teddy bear, retailing on the trust’s website for £95. 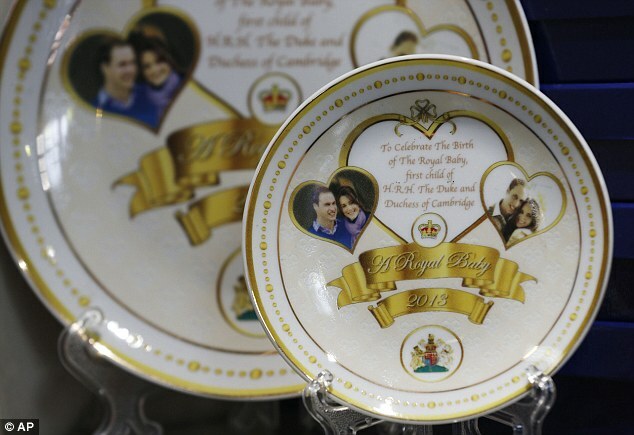 Each piece of china will be made in Stoke-on-Trent by the same potteries that produced the official range to celebrate William and Kate’s wedding in 2011. 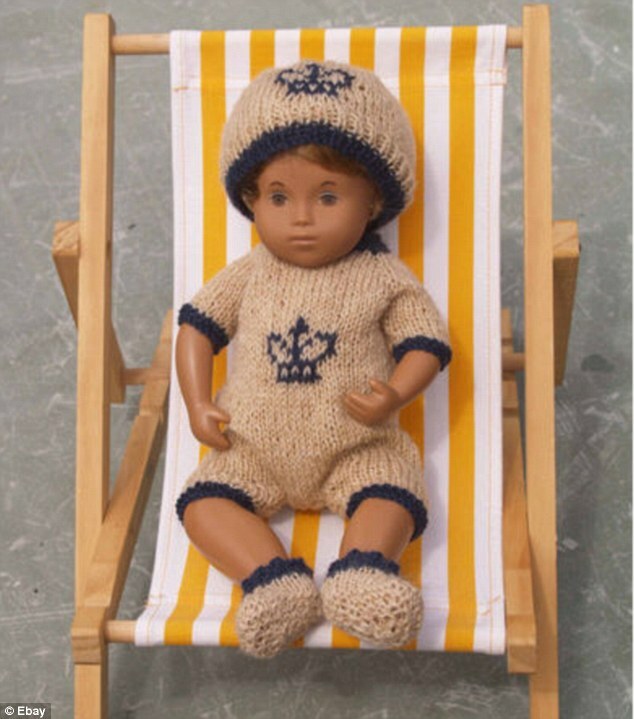 A small family firm in Nottinghamshire has had an ‘unprecedented’ run of orders after the Duke and Duchess chose to swaddle their newborn son in one of their christening shawls. 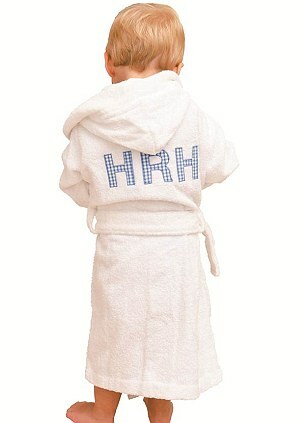 GH Hurt and Son Ltd, which has a long-standing connection with the Royal Family, sent the couple one of their £45 fine Merino shawls, identical to one William used when he was a baby. 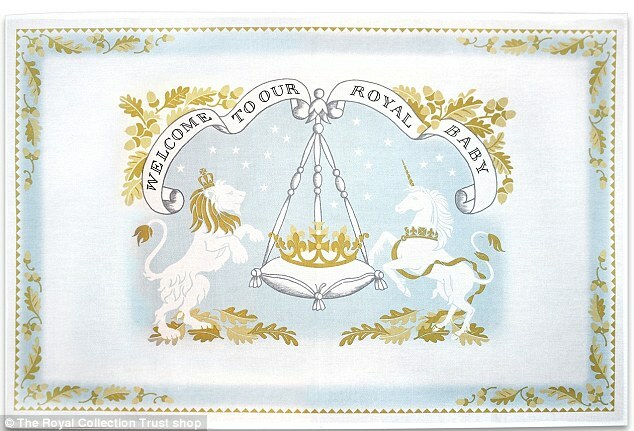 Since Kensington Palace made the news public, the company has been inundated with enquiries and orders, the likes of which they have never been seen before. 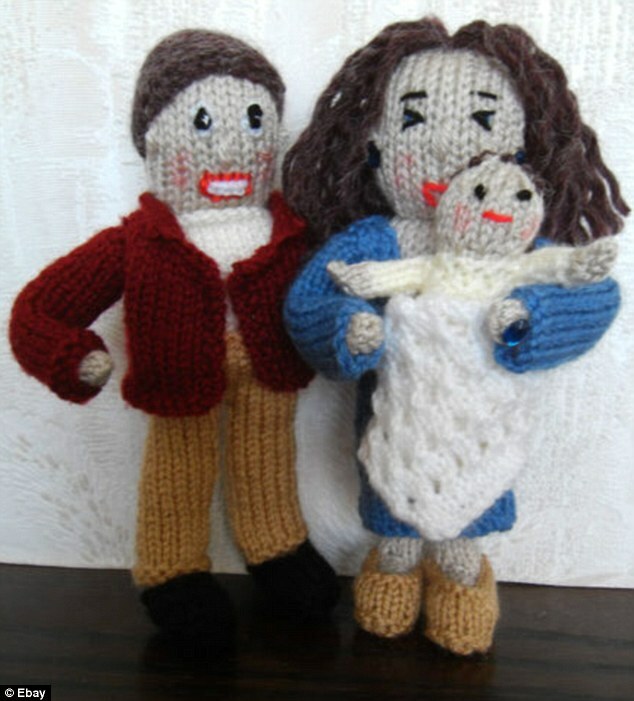 Gillian Taylor, director of the firm, which celebrated its centenary last year and still used centuries-old traditional menthods, said: ‘We were so delighted the Royal couple emerged from St Mary’s Hospital with their newborn son wrapped in one of our traditional hand finished shawls. 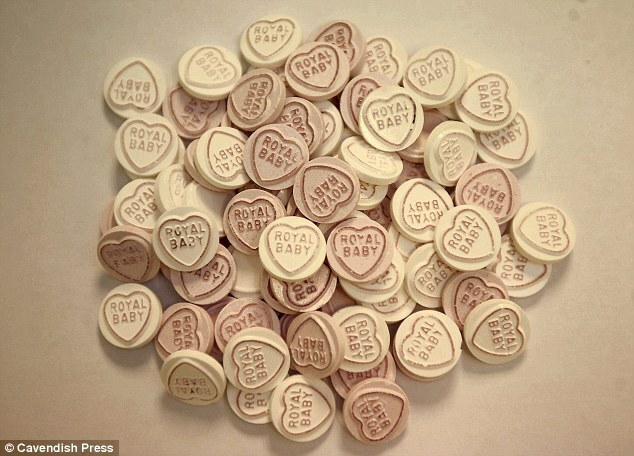 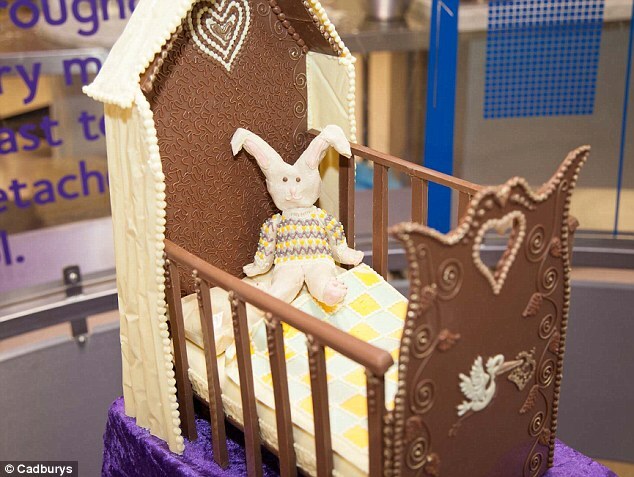 Workers are waiting until the royal baby is named before they go into full production as they need to add the moniker to the pieces. 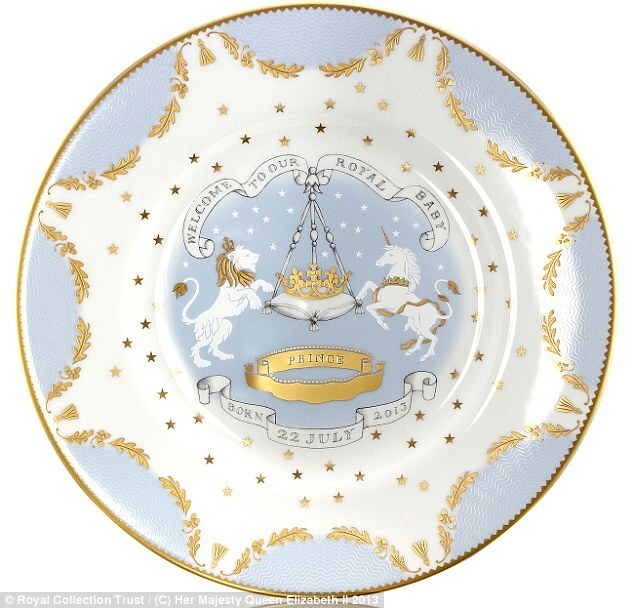 The fine bone china range has a pale blue and 22-carat gold colour scheme and will feature a lion and unicorn, heraldic animals from the royal coat of arms, supporting the Cambridge’s coronet surrounded by oak leaves from the Middleton’s family crest. 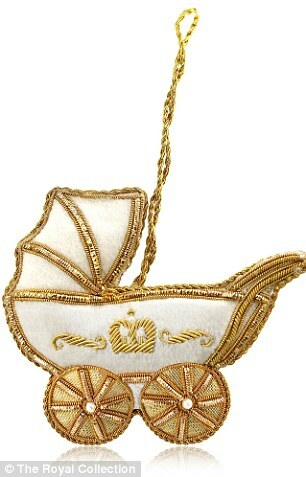 Scrolls will incorporate the name and birth date of the baby prince. 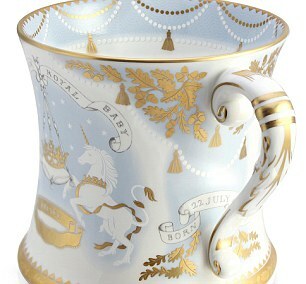 All profits from the sale of the china are dedicated to the Royal Collection Trust, a registered charity. 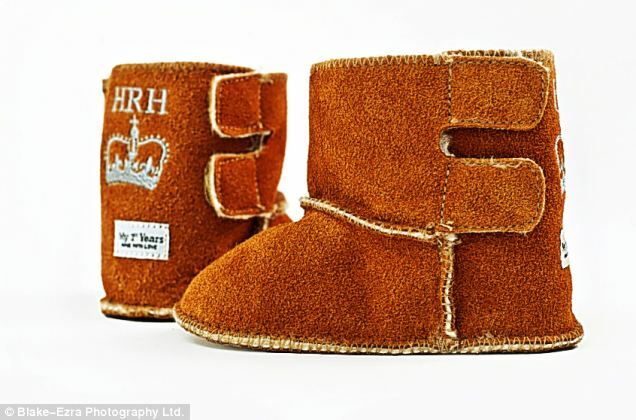 Next month the Trust will publish The Royal Baby Book: A Souvenir Album, which will tell the story of the birth and early childhood of past and future heirs to the throne, from Queen Victoria to William. 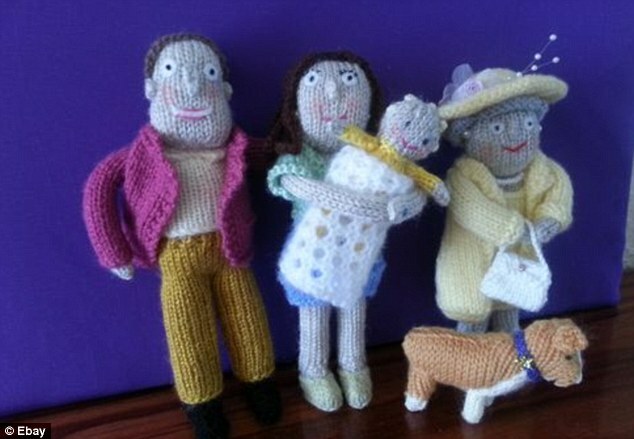 Hand knitted royal scene: Prince William and Kate clutch a very large child as they stand with the Queen in this royal product on sale on eBayAnother official body which was quick off the mark with its merchandise range was Highgrove, the Prince of Wales’s country residence. 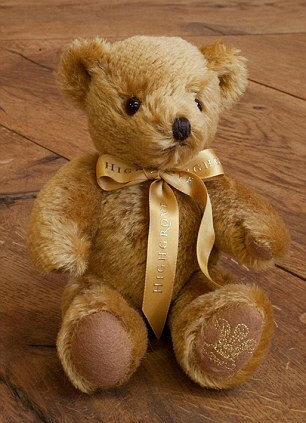 The stately home announced this morning that it was launching a selection of ‘gifts for children’, including a £65 teddy bear. 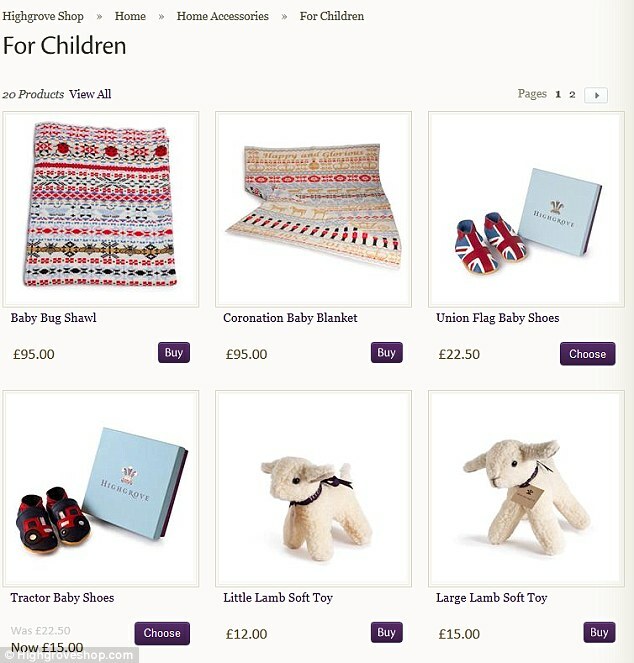 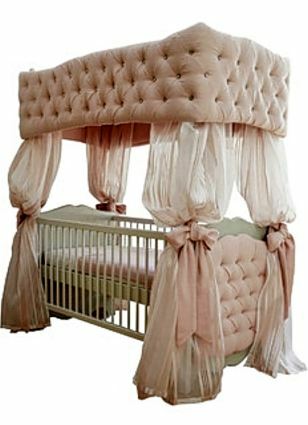 Its most expensive product is also £195 – a ‘baby organic hamper’ featuring the teddy as well as five body products such as flower water and massage oil. 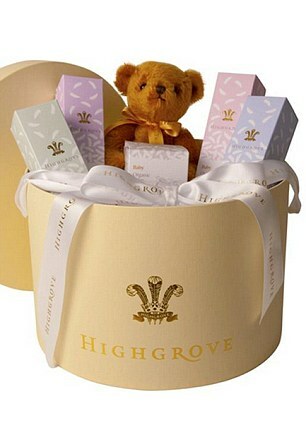 Profits from the Highgrove shop go to charitable causes championed by Charles. 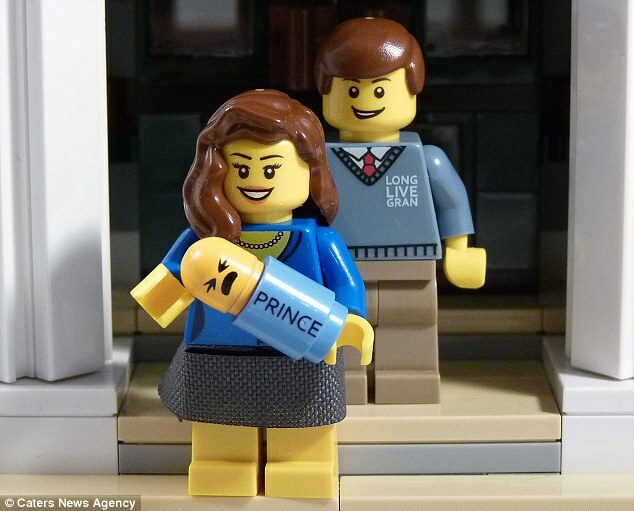 The unofficial memorabilia ranged from Lego versions of the royal baby through to gold easels for parents to announce their new child Windsor-style. 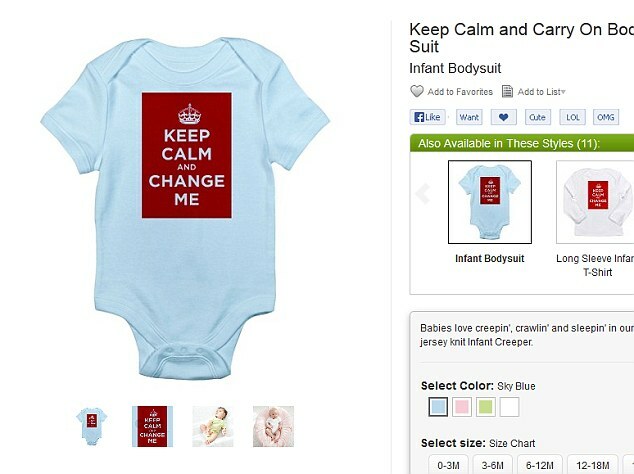 Too far? 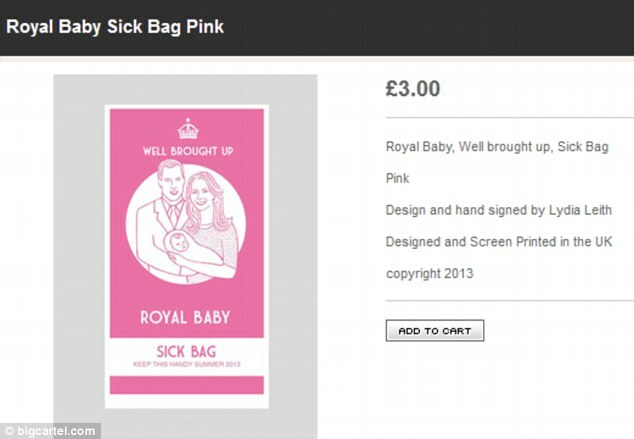 A royal baby sick bag in pink is launched for those who have had enough of news about the birthAnalysts predict that nearly £250million could be spent on royal baby related souvenirs over coming days. 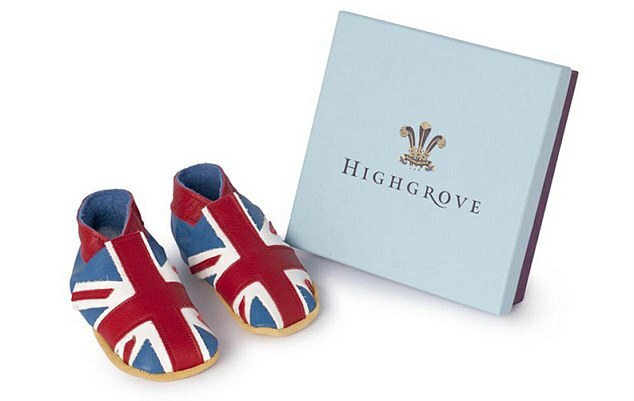 The wider boost to the economy could be worth as much as £500million. 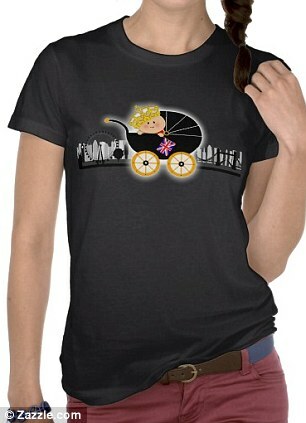 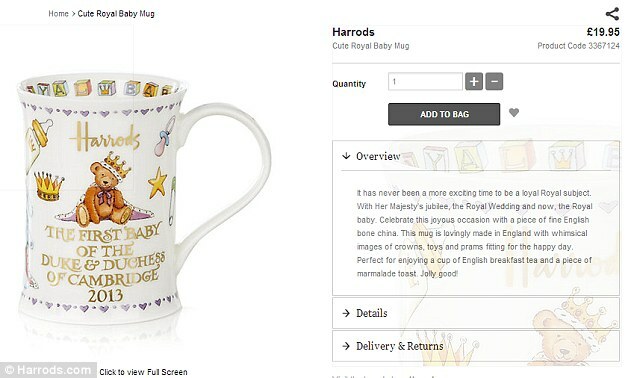 Souvenirs, memorabilia and food and drink will sell on the back of the royal birth immediately – while in the longer-term royal themed pushchairs and clothing will make millions, according to valuation experts Brand Finance. 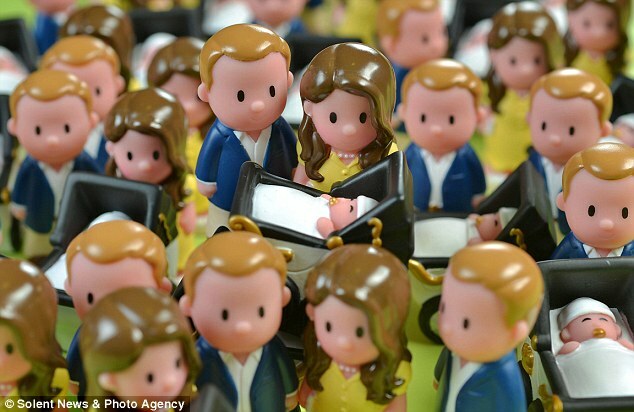 The new baby’s midas touch will supplement the Royal family’s annual contribution to the British economy which Brand Finance estimates to stand at £1.5billion so far this year alone. 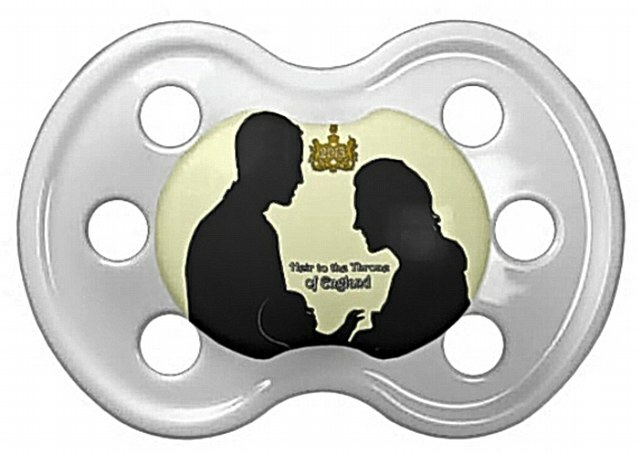 The firm says the new baby will swell the coffers and enhance the assets of the family as a whole, including Crown Estate and Duchies of Cornwall and Lancaster, which stands at £53.6billion. 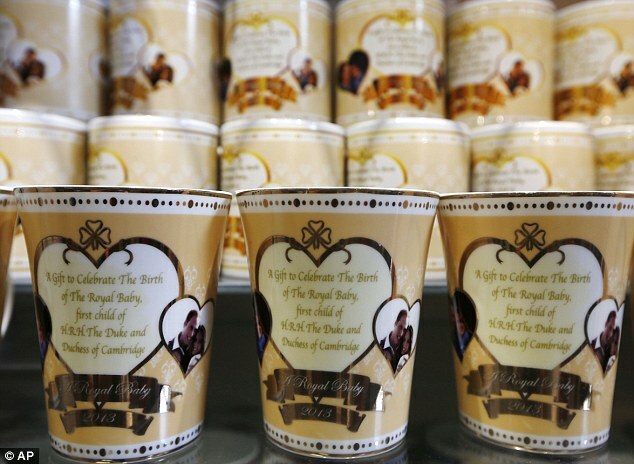 The most desirable pieces are likely to be the ceramic cups, dishes and bowls which will vary from the cheap and cheerful to gold leaf-covered fine bone china creations costing hundreds of pounds. 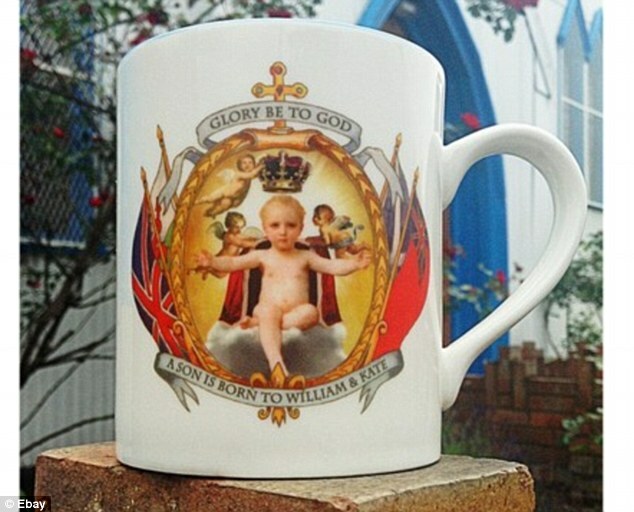 Stoke-on-Trent, the home of England’s pottery industry, was a hive of activity as companies geared up for the birth. 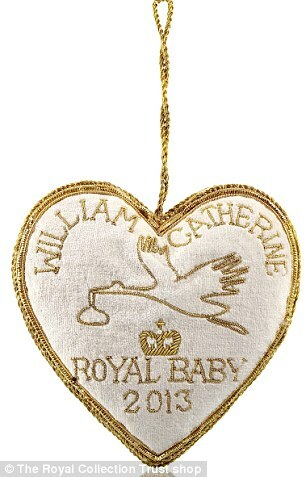 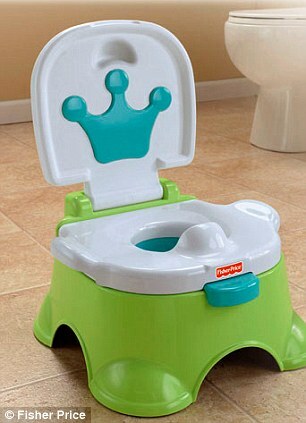 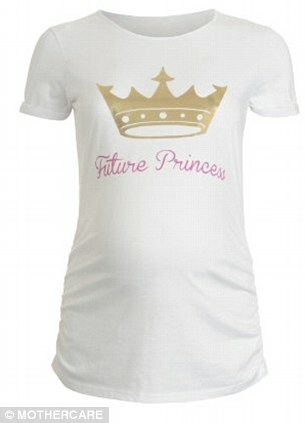 Designs have been drawn up and potters are waiting for the moment William and Kate’s baby is named. 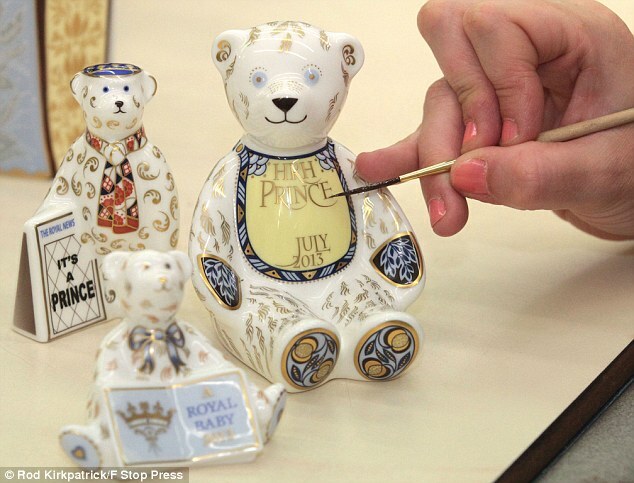 Dr Laura Cohen, chief executive of the British Ceramic Confederation, highlighted how foreign collectors, especially from countries such as America and Japan, prize items from the UK. 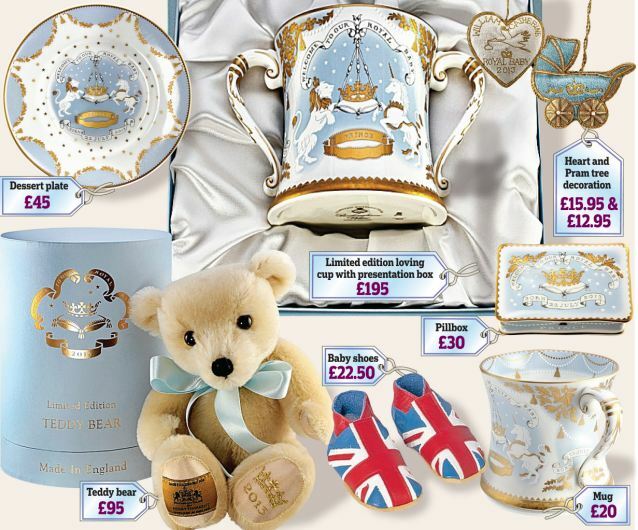 She said: ‘This will be a welcome boost for UK tableware and giftware manufacturers, generating significant sales for many companies in the UK and overseas. 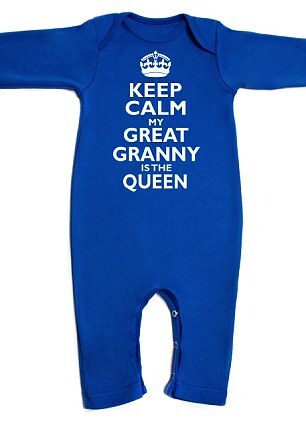 ‘UK manufacturers are uniquely placed to commence manufacturing as soon as the baby’s name is announced and so respond rapidly to orders. 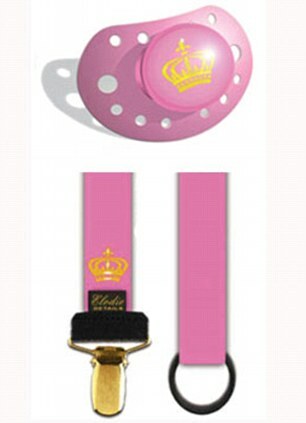 This really is the king of baby gadgets… The world’s most expensive baby monitor has been invented in time for the new royal arrival. 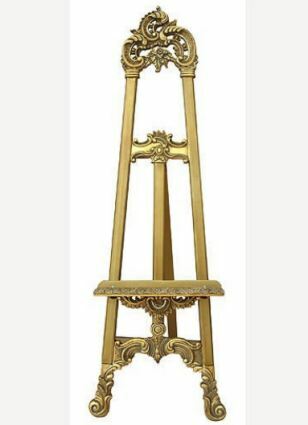 Engineers at French electronics specialists Withings have spent two months designing a bespoke 24 carat gold gadget, worth £35,000, for the Duke and Duchess of Cambridge. 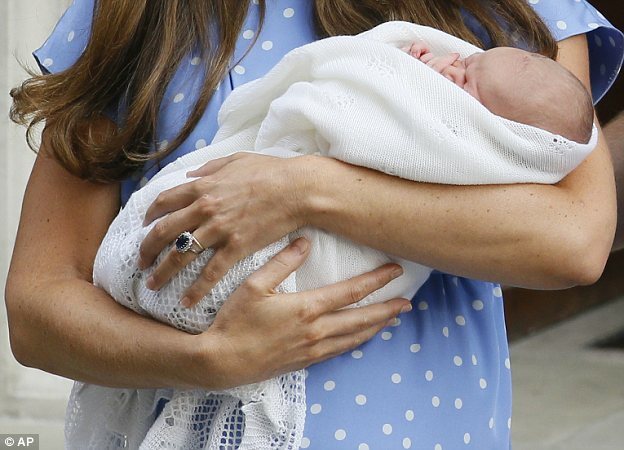 With an in-built high definition camera, night-vision, and alerts that monitor noise, motion, temperature and humidity, the device will keep Kate and Wills close – even if they’re in the other side of Kensington Palace. 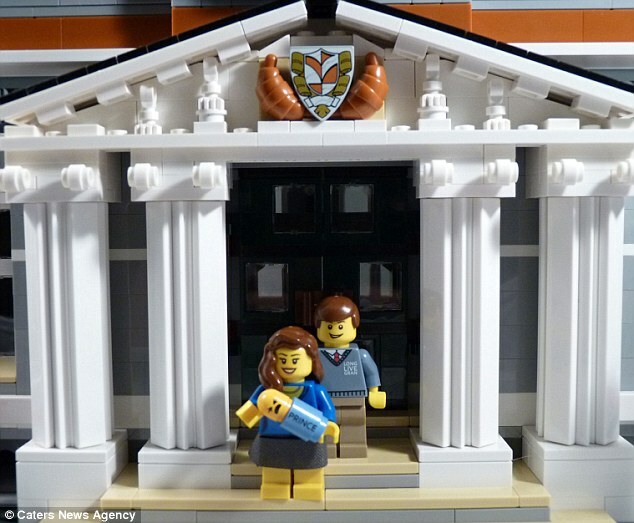 The first-time parents have been sent the state-of-the-art gadget to their Berkshire manor, which will transmit video of their son direct to their smart phones – no matter how far away they are. 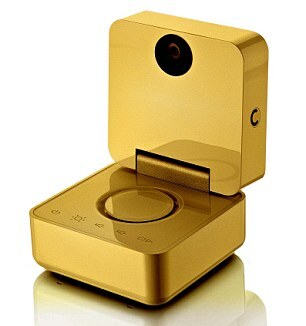 The couple will also be able to interact with him, and control the lighting and temperature from a distance.